We are delighted to offer the fantastic TREC NUTRITION MULTI PACK SPORT DAY AND NIGHT 60caps HIGH DOSE OF VITAMINS AND MINERALS COMPLEX FOR BODY SUPPORT. With so many available these days, it is good to have a make you can trust. 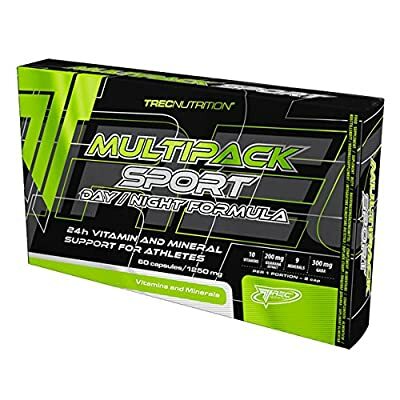 The TREC NUTRITION MULTI PACK SPORT DAY AND NIGHT 60caps HIGH DOSE OF VITAMINS AND MINERALS COMPLEX FOR BODY SUPPORT is certainly that and will be a perfect buy. For this reduced price, the TREC NUTRITION MULTI PACK SPORT DAY AND NIGHT 60caps HIGH DOSE OF VITAMINS AND MINERALS COMPLEX FOR BODY SUPPORT is widely respected and is always a popular choice with most people. Trec Nutrition have added some nice touches and this means good value. Multipack is a complex composition of vitamins, minerals and metabolic activators which reinforces bodily strength in physical or mental stress conditions. As the result of stress, poorly balanced meals or intensive workouts, the requirements for substances which are key for fitness and vitality are increased. Multipack is recommended as a daily dietary supplement and a source of easily absorbed vitamins and minerals for every person who is physically or mentally active. 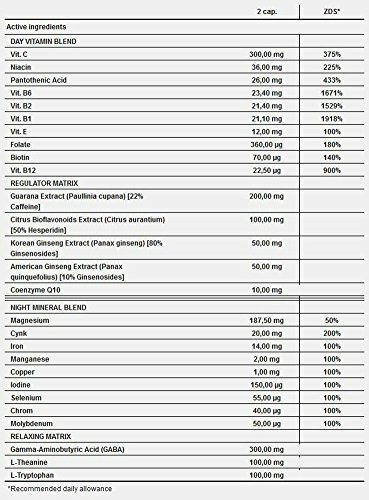 RDA: Recommended daily allowance: Day formula: 1 capsule after main meal. Take the product with approx. 300 ml of water. Do not use more than 3 months. Night formula: 1 capsule 30 min. before bedtime. Take the product with approx. 300 ml of water. Warnings: Warnings: Do not exceed the recommended daily dose. Do not use the product as a substitute for a varied diet. Children, pregnant or nursing woman must not take the product. Storage: Keep this packaging tightly closed in a dry place, at the temperature of 15-25°C. Keep out of the reach of children.